Ahh, this weekend was a blur in so many respects. It was David's and my one-year anniversary on Sunday. We actually spread the celebration out over a couple of days with a fabulous Italian lunch and some errands on Saturday. We exchanged gifts on Sunday. It's been a joyful year, and I'm thankful every day for a great husband. In reading news, I finished Rainbow Rowell's Landline, and if you follow me on Goodreads you already know I looooved it. More coming soon. Probably a mini review. I also picked up Bone vol. 1, by Jeff Smith. I'm loving it, and Greyson keeps trying to steal it. In writing news, my post on Lucy Knisley had a moment of virality on Reddit, which stirred up some really nice traffic over at Panels, and it ended up the #1 post of the week. I also did a guest post over at Book Riot on "beautiful, brutal" books. 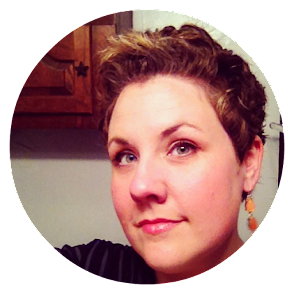 I have another post going up this week that falls more into the fun/listy category. Finally, lots of controversy stirring in the book and comics world on Twitter this week. 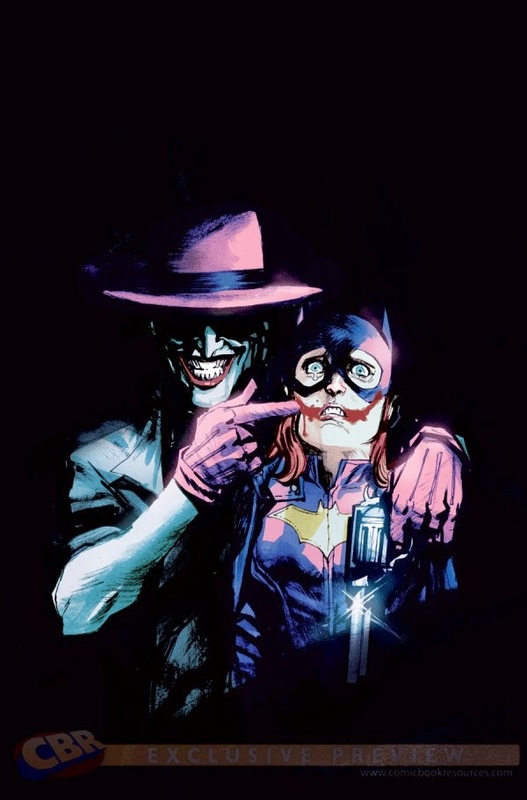 While it started with Andrew Smith it ended with a DC variant cover of Batgirl that some say glorifies sexual violence. And Erik J. Larsen, comics creator, spoke out against "placating a vocal minority at the expense of the rest of the paying audience by making more practical women outfits." Truthfully, the comics issues got me far more riled up than the Andrew Smith business, and that leaves me wondering, what should we get riled up about on the internet and social media? What should we let slide? How do we talk about the nuances of our arguments in the he said/she said, black and white bulldozing of a typical Twitter "issues" showdown? Then there's Michelle at That's What She Read, who I love, and who thinks we should take back the internet with positivity and get back to books. In theory, I strongly agree, but I also know I have a big mouth and a busy brain for things like this. I don't have the answers, but I'm certainly mulling it over with an eye toward a post sometime this week. Happy anniversary! And I don't have any answers, either. Except maybe this, that if it's something we really feel passionate about, then sometimes we do have to take a stance. But voicing an opinion can be done in a way that promotes positive change rather than negativity. It's much easier said than done, though. But still, I believe it can be done. It does mean pausing to think, though, and perhaps think again, before we reach for our keyboards. As for what gets me riled up? Usually something stupid and it's usually at the most inapt time... like when I'm trying to go to sleep. Alas. I hope you guys had a good anniversary! His thoughts on your first year were the sweeeeetest. 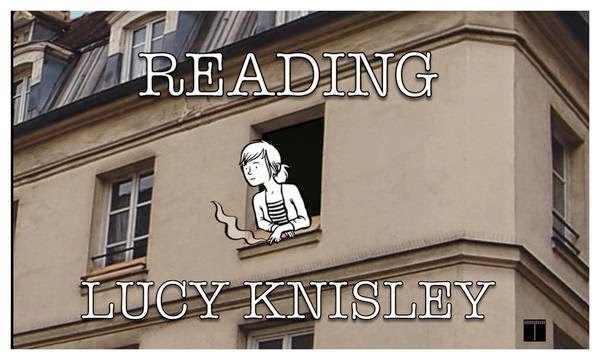 I keep seeing Lucy Knisley pop up on your blog and everywhere and it makes me really wish I had some more to read by her! I loved Relish and it's in my top 5 graphics/comics of all times. Twitter just felt like too much of an echo chamber without enough serious thought over the last few days. It's too easy to jump in on the side of an issue after seeing a tweet or post without knowing everything behind it, and that only fuels rumors/misinformation. As much as I love the medium, it can be incredibly tedious at times. As to all the other, I just learned a new phrase that may come in handy for me: "Not my circus, not my monkeys." Happy Anniversary, and thanks for sharing the photos on instagram! Lucy Knisley's Age of License is in my tbr pile... enjoyed French Milk and want to read Relish, too. Congratulations on your anniversary :) I want to try Rainbow Rowell, I have Landline and also Eleanor and Park on my kindle to read, another to get round to soon! 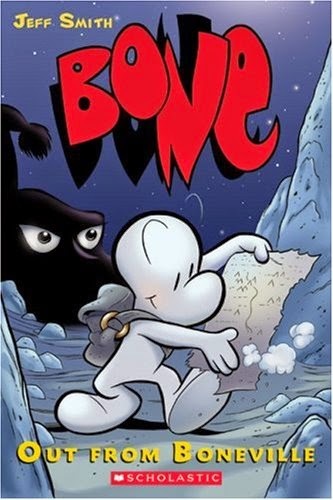 Bone looks good, I am really new to comic books and graphic novels but I am enjoying them a lot. I'm such a bad/good (depending on how you look at it) Twitter participant! 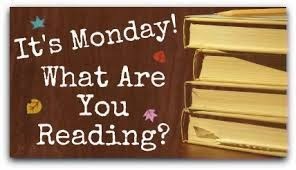 I'm rarely on the thing, so I miss a lot of stuff....for example, everything that went on this weekend :) Anyway - I need to check out your Brutal Books list....A Little Life is definitely one I see falling into that category! The Andrew Smith and Erik Larsen articles got me all riled up, but it's really frustrating to see the bad behavior on both sides of the argument (in the AS issue, anyway). Twitter is not the place to go for nuanced discussions. But I also have mixed feelings about the pledges to only talk about positive things and books; ignoring problems doesn't make them go away, and sometimes talking about negative things is necessary in order to fix them. Maybe we just need to find better ways to have those conversations. Happy wedding anniversary! I'll be interested to read what you thought of Landline. I loved Eleanor and Park and Fangirl, but Landline didn't quite work for me--maybe I just missed something! Happy Anniversary! I started Landline but it wasn't clicking with me. I need to try again! Congrats on your anniversary! I missed the cover furore but must admit I wouldn't have known a sexual violence reference was being made without the articles saying so. Not sure how that leaves me feeling, to be honest. 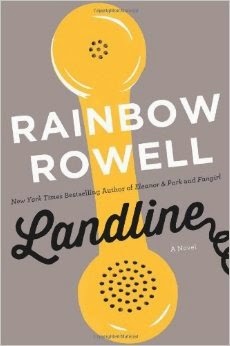 Landline is the only Rowell book I haven't read. I need to get with it. Happy Anniversary to you and David! Happy Anniversary! I have made a conscious effort to stay OUT of all the twitter controversies. Instead I talk about #ToffeeCoffee. I'm glad you liked Landline so much, Andi. I did too! I loved the story, and it made me think of when I first fell in love with my husband. Sigh :D Speaking of love, happy happy anniversary to you and yours. I'm so happy for you both. The DC Comics thing bothers me a lot more than the Andrew Smith thing, too, especially taken in context of the whole quote and interview. Smith is more like, Well that might be true, but I am questioning patriarchy in the best way I know how; and DC's attitude comes across more more like, Oh yeah women? F--k them. #TeamMarvel all the way. Could Stan Lee please go whoop some sense into DC? >>that leaves me wondering, what should we get riled up about on the internet and social media? What should we let slide? I wonder about this a lot too. And it seems that there's no rhyme or reason to it -- it's just a crapshoot as to which thing gets you riled. Really what I'd like there to be is better models for asking for (& receiving) forgiveness once you have screwed up. I would like people to talk about that more -- like that time Daniel Handler made a dumb joke and immediately apologized and donated $10K to We Need Diverse Books. That was a good way to behave! I wish so much that more people would go the "immediately apologize" route rather than the "double down and dig in" route. Anyway, I'm with Shannon -- Twitter can get to be very much an echo chamber when this kind of fight is going on, and it can help to just be on a little break from it. Your post is making me think. :-) There's so much negativity and awful things going on, that I often take a break from social media. When it comes to the Batgirl cover controversy, the creator needs to think of it in a different way. If it was Batman instead, the cover wouldn't have been drawn in that fashion. I hope you had a lovely anniversary. I still can't believe it's been a year already! We did Landline for bookclub and I was the only person who truly liked it. I was so disappointed because I thought it had such much to recommend it and so many truly wonderful little gems.